Track giving and pledges and connect with online giving providers to have a better grasp of giving in your church. Consistent giving in your church is key to growth. Elvanto has powerful features that enables you to access pivotal financial data at the click of a button. 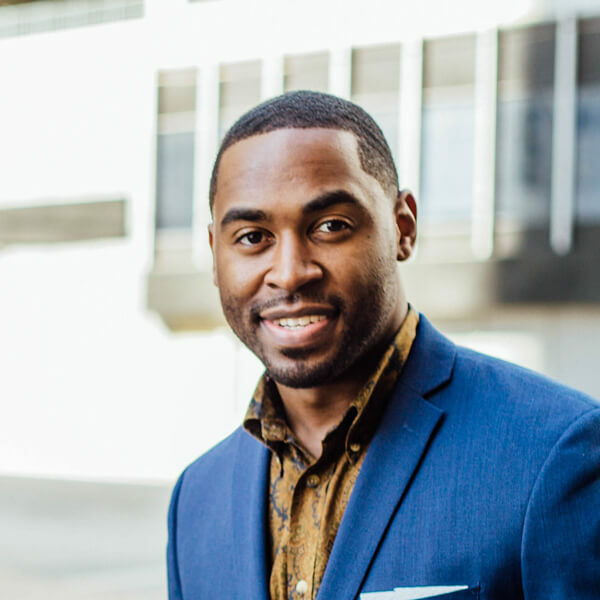 Track giving and pledges and connect with online giving providers to have a better grasp of giving in your church. Record giving and pledges against individuals. Integrate with online giving providers to accept giving online. Once you set-up your online giving integration, members can give online via their account. 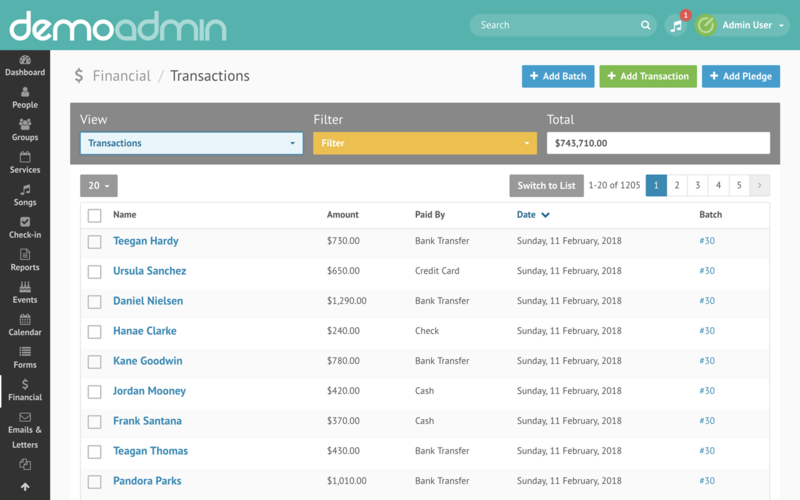 Batch any collection of transactions made or grouped together in the system. 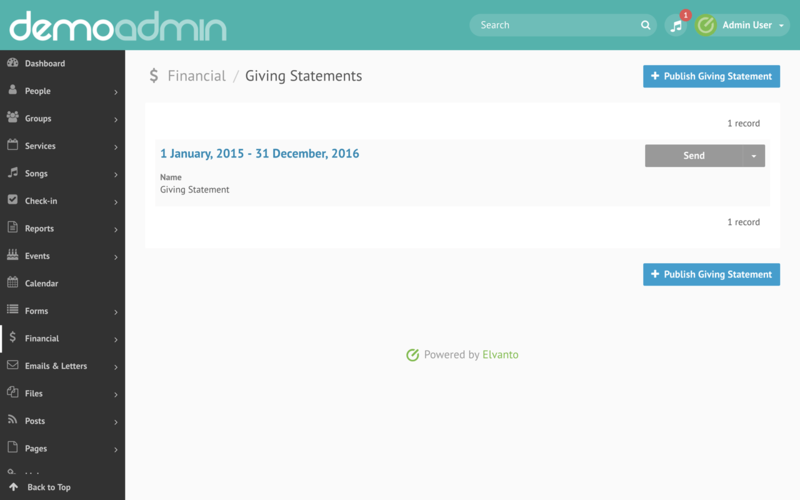 Generate giving statements that can be emailed or accessed from a members account. 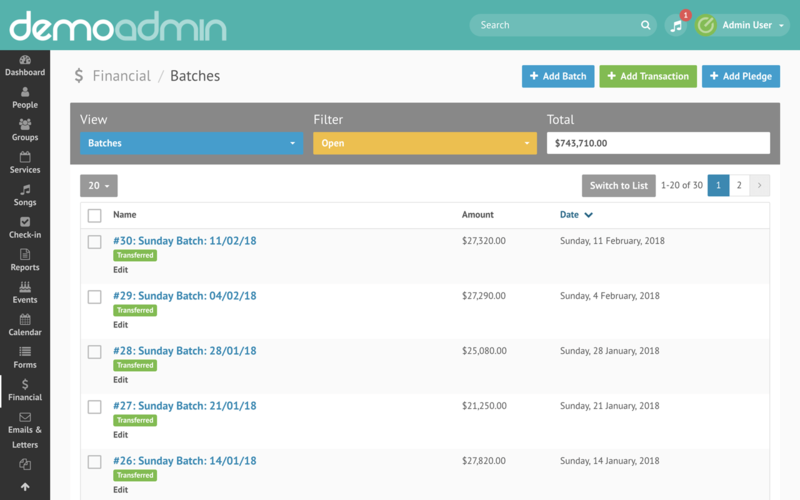 Organise giving into categories for easy tracking. 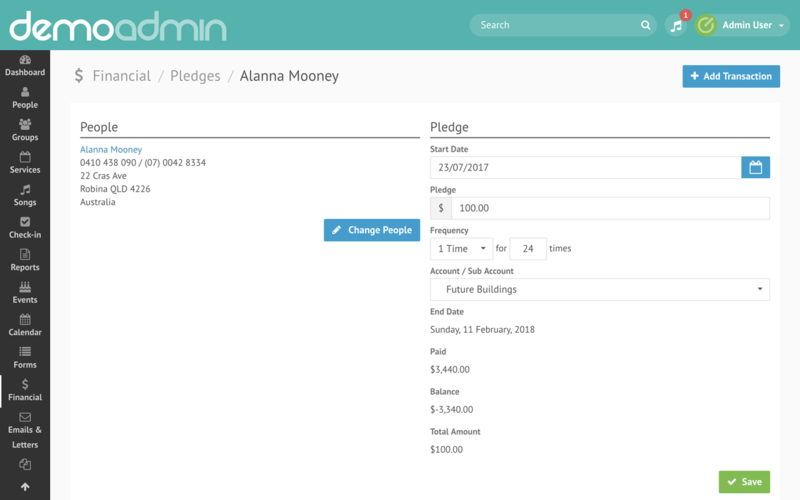 Allow members to log in to their account and view their personal giving history. 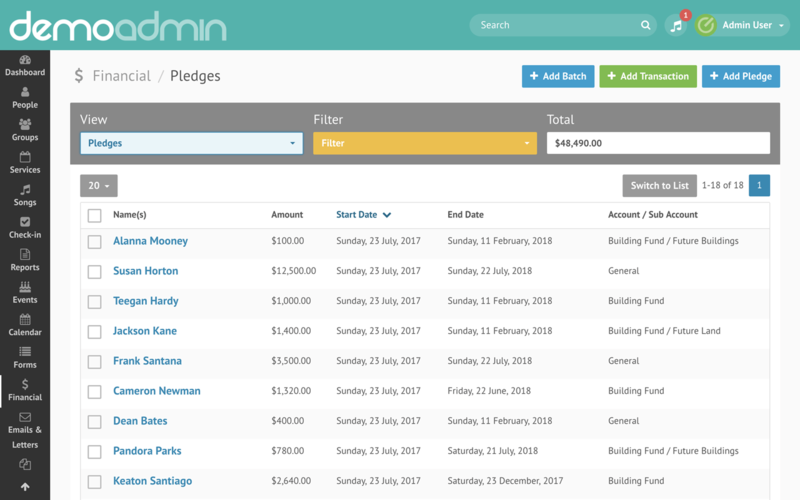 Generate reports on giving, pledges and view new givers at your church. 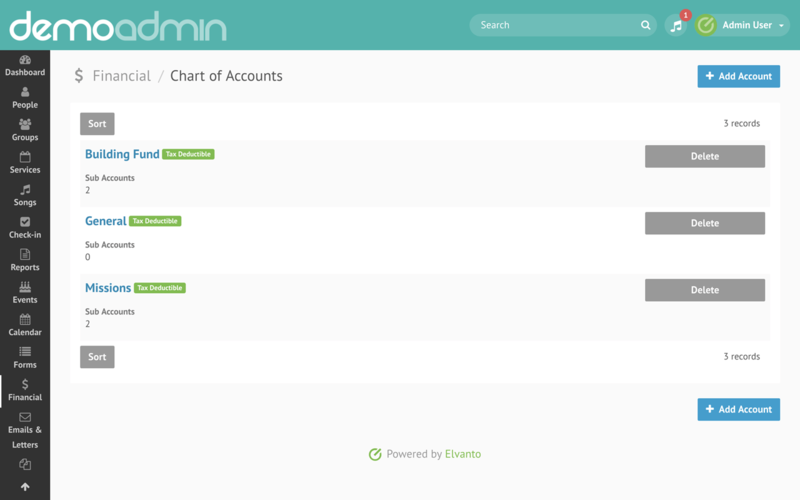 Share reports with your finance team, and export into a variety of formats. Track all of your tax-deductible giving and print out receipts for everyone in a matter of seconds.